Tomaga are the duo of Valentina Magaletti and Tom Relleen, who blend prepared percussion with esoteric synthesizers and tuned percussion to create music that moves between industrial, jazz, psychedelia and minimalism. 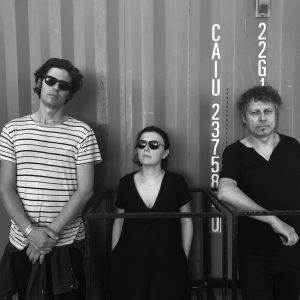 Since forming their duo in 2014 they have made 10 releases and received numerous accolades including BBC Radio describing them as ‘the best band in the UK’ and Thurston Moore inviting them to be part of the CAN Project at London Barbican in 2017. Tomaga and Pierre Bastien began a collaboration in 2017, firstly for a performance at Fructose in Dunkirk, and secondly for a performance at Supersonic Festival in UK. In the process of these live collaborations they have prepared a recording of their unique collaboration which will be released on Nicolas Jaar’s ‘Other People’ imprint in February 2019.